I would like to provide a few tips about carpet cleaning and care. These are general tips and apply to most carpet styles. Different carpet yarns need to be cleaned with differing cleaning solutions. Check out our carpet cleaning and maintenance page. 1. Don't scrub the carpet to remove a stain. When you scrub a carpet you can unwind the carpet yarn. This will cause the carpet to look unnatural at the stained area and cause the carpet to mat quicker in the future since the integrity of the carpet yarn has been compromised. The twist level and subsequent heat set of the twist is what provides resiliency and wear ability so when you unwind the carpet tips your carpet will not wear or perform as it was designed to. So don't scrub the stain. Blot the stain. 2. Don't let the stain sit. Some people figure that they will let the stain sit and dry so it will be easier to remove. Nope. The sooner you get the stain the better. The longer a stain sits the more it can seep into the padding. Have you ever cleaned a stain and then found that it came back the next day? That's because the stain that seeped into the padding is wicking up into the carpet again and so reappears. So get that stain as soon as you can. 3. Always test a new cleaning solution on an inconspicuous area to make sure it doesn't mess up your carpet. 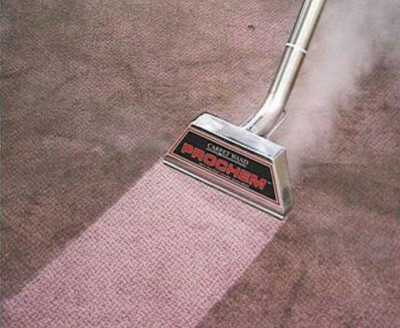 Different carpet yarns require different cleaning methods and cleaning products. For example: solution dyed nylon carpets can be cleaned with a solution of half water and half bleach. If you were to use this carpet cleaning solution on any other types of carpet yarn it would cause large white spots. So the correct cleaning solution is important. 4. Have your carpet professionally cleaned every 12 to 18 months. Most carpet mills require you to clean your carpet every 12 to 18 months to maintain the carpet warranty. Cleaning your carpet every 12 to 18 months will remove foreign particles that if not removed can actually abrade your carpet. Sand down the fibers if you will. So professional whole room carpet cleaning is a must. Also, the steam extraction method is what most carpet mills require. Dry cleaning doesn't maintain the carpet warranty. Plus steam extraction will actually perk up the carpet yarns. Yarns that were crushed down through normal wear can be revitalized with steam extraction (depending on the carpet yarn of course). Well, there you have it. The carpet cleaning basics. If you need more information on carpet cleaning or need a spot cleaning guide, click here. Disclaimer: we sell Concoleum brand vinyl flooring products so this care blog is meant for Congoleum products but in general will apply to most vinyl sheet goods. Sweep or vacuum regularly to remove dirt and grit that can abrade, dull or scratch your new floor. Do not use a vacuum with a beater brush, because it may damage the floor's surface. Wipe up spills promptly with a damp cloth or mop. For a more thorough cleaning, wash your floor with Congoleum Bright 'N Easy No-Rinse Cleaner or other suitable, non-detergent based resilient floor cleaner. Remove excess water after washing the floor. Caution: Avoid one-step "mop and polish" products, dishwashing liquids and oil-based cleaners. These may leave a residue which can attract dirt and dull your floor's finish. Avoid cleaners that contain abrasives or solvents which may permanently damage your floor.